“Chill is a miserable attitude when it comes to hosting gatherings,” (pg 74). “…The final transition between the guests’ arrival and the opening is a threshold moment. Anticipation builds between the initial clap of thunder and the first drops of rain; hope and anxiety mingle,“ (pg 171). “Good controversy is the kind of contention that helps people look more closely at what they care about when there is a danger but also real benefit in doing so,” (page 233). What if our ‘agenda’ was a list of questions that we could select to discuss/reflect on in pairs/small groups? Do we need a ‘pre-meet’ and ‘post-meet’ section? 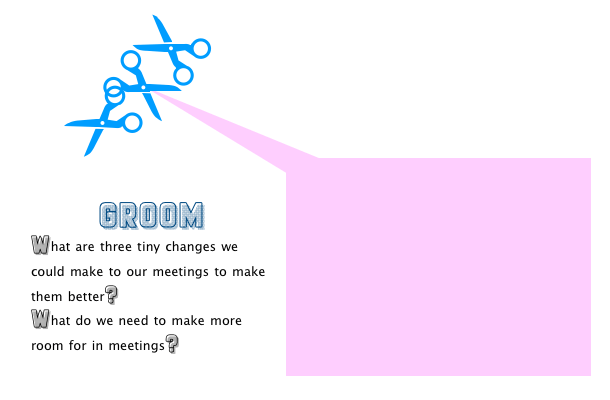 How can we save time by asking people to do thinking before or after a meeting? Can we do more to invite debate in? What if we built in more time for ‘hot topics,’ or intentionally sought out provocations? Could we ask teachers to take on the opposite stance and debate accordingly? Let’s mix and match norms for different sessions. 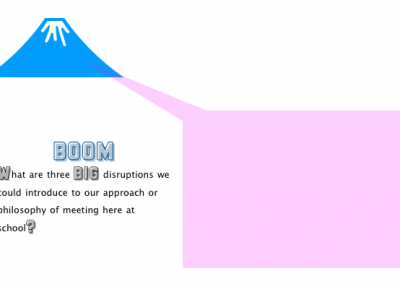 Have a pop-up rule that will allow the meeting to function even better. When might you need a time-keeper? When might you need a designated ‘devil’s advocate’? 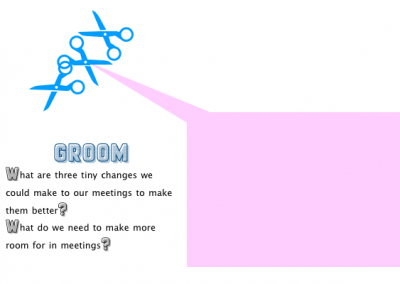 When do you need someone else to lead your meeting? 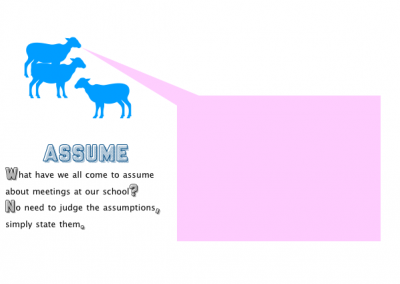 How might an outsider’s perspective allow for new ways of thinking? Should each member of the team lead a meeting at some point in the year? When might you make attendance invitational? How might giving time back to others help? One of my other takeaways from this book is how a venue can almost inform the agenda and so worth us taking some time to think about this sometimes, instead of going to the easy/routine option. By mixing up venues perhaps we can help people to shake off “roles” and routines. Perhaps this can assist with the role of controversy. The idea of the 15 Toasts was excellent in terms of adding purpose and vulnerability to a meeting. Understanding this as a concept could help add intentionality to our gatherings. Thanks for suggesting the book Tricia! Thanks for organising this Tricia, I enjoyed the book and wish I had been at the meeting! I loved her anecdotes from Google and the different ways of reaching compromise or agreement. The car parking announcement at the funeral was a really clear lesson about how not to start a meeting too! Looking forward to the next one. Cheers. Some really interesting ideas and provocations there Tricia. I love it. Thank you for promoting my thinking.